Our Partnership comprises business and community members from across Gippsland who care passionately about the future of our region. 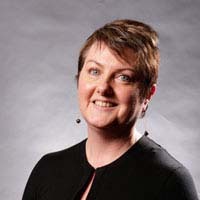 Maree McPherson is a highly experienced professional across not for profit, government and private industry sectors. She currently runs her own coaching, mentoring and facilitation practice and has previously headed up a number of organisations both in Gippsland and state-wide. Maree has held a number of pivotal positions on professional boards and committees across professional services, education and government. Maree is passionate about the aspiration of people and organisations in regional Australia, and community leadership, especially for women. Jane Ponting is the Executive Officer for Gippsland East Local Learning and Employment Network (LLEN) and is a current member of Committee for Gippsland. She has experience in public and private organisations. She is an advocate of sustainable education via business and community partnerships that provide greater opportunities for youth in the region. Jane is passionate about building the region’s economic and social fabric by increasing local employment opportunities for young people. 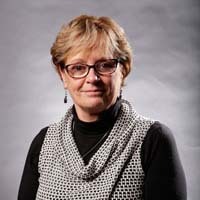 Jane Anderson was appointed as the Latrobe Health Advocate in May 2018. This newly created position provides an independent voice for the Latrobe Valley people and aims to improve the long-term health and wellbeing of the community, delivering on a key recommendation from the re-opened Hazelwood Mine Fire Inquiry. Jane offers over 17 years’ experience at Anglicare with 12 of those years in a regional leadership position. Her background includes over a decade as a Victoria Police Officer and seven years as a practicing lawyer and advocate. Jane is passionate about the welfare of the Gippsland community and addressing issues of disadvantage. 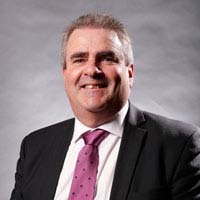 Roland Davies operates his own Energy and Resources Consultancy – Advantage Energy & Resources; he is currently working full time for Coal Energy Australia as the General Manager – Projects. Roland moved into this new role following a 35 year plus career with the Victorian Power Industry. Roland is passionate about the energy and resources sector, particularly the growth, diversification and sustainability of the sector for the Gippsland region. Roland has been actively involved in community and industry based initiatives including membership of Clean Coal Victoria and the Mine Rehabilitation Advisory Committee. Paul is respected as a leader in the Australian agribusiness sector. He is an experienced Board member with previous appointments to the Boards of a range of agribusiness and rural leadership organisations. Paul has held a diverse array of senior executive positions in large corporate structures and small specialist organisations in both the private and public sector. Paul is a Fellow and past Director of the Australian Rural Leadership Foundation and actively supports projects that attract, retain and develop talented people within the dairy industry. He is committed to fast tracking sustainable economic development and the prosperity of Gippsland. Valerie Prokopiv works for RMIT in Research into Transitional and Transformational Communities. Valerie has broad industry networks and experience working across the three tiers of Government and has a commitment to a sustainable Gippsland. Valerie is passionate about securing good, well-paid employment for Gippslanders and improving educational outcomes to give our young people the best chance to fully participate socially and economically in the region. Terry Robinson is the Chief Executive Officer of Destination Gippsland, the Regional Tourism Board with the role to inspire, influence and lead positive tourism outcomes through partnerships across Gippsland. Terry is also Chairman of Sydney Melbourne Touring, a cross-border association that promotes self-drive touring itineraries for international visitors between Sydney, Canberra and Melbourne. He has a keen interest in supporting Gippsland communities by helping them generate the benefits that come from building a strong visitor based economy. Richard Elkington is Chair of Regional Development Australia Gippsland and Director of Paradise Consulting. Richard has also been an Executive Councillor of the Victorian Chamber of Commerce since 1999 and has vast governance experience and knowledge of the energy sector having previously been a General Manager of Loy Yang Power Ltd. Richard is passionate about Gippsland and the continued use of its vast energy resources. Paul joined Bass Coast Shire Council in February 2014 after nine years as CEO of City of Latrobe, and a long and distinguished public service career which included being awarded the Public Service Medal in the 2012 Queen’s Birthday Honours for his outstanding public service and sustained leadership to the local community. 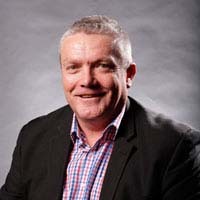 Paul is a graduate and member of the Australian Institute of Company Directors and holds positions on various community committees including Regional Development Australia (Gippsland) and the AFL Gippsland Commission. Gary has worked in several industries during his career including major construction in the power and water industries. Gary has been the CEO at the Mansfield and East Kimberley Shire and a Director at the Baw Baw Shire. He was also the Executive Director of Industry and Investment at Regional Development Victoria and was head of Economic recovery for the Victorian Bushfire Reconstruction and Recovery Authority. In the coming year Gary will focus on the leadership of the Shire’s administration to achieve community objectives and goals through corporate and cultural revitalisation and effective change leadership and management of resources. At the age of 25 Tim was appointed to the role of Senior Technical Officer within the Highways Department in South Australia. At the age of 34 he was appointed as CEO of a private medium-sized national civil contracting company. Tim moved across to local Government in 2001, joining the City of Greater Dandenong. He thoroughly enjoyed the challenges of working with communities which led him to his current role of CEO, South Gippsland Shire Council. Tim’s qualifications include science, management, banking and finance disciplines and he holds an Australian Institute of Company Directors diploma. David grew up in the Gippsland region, before joining the Westpac Bank as an Economics Graduate in 1988, based in Hobart. He spent 12 years in the Finance and Banking sector before moving to local Government where he has held roles as General Manager and CEO of various councils. David was appointed CEO of Wellington Shire Council in January 2012. As well as holding a degree in Economics, he holds post graduate qualifications in Management and is a Fellow of the Governor’s Leadership Foundation in South Australia. Gary commenced at Latrobe City Council in January 2015 as Chief Executive Officer. Gary has over 15 years experience in senior management roles in Local Government across rural and regional Victoria. He is a qualified Civil Engineer and has also completed a Master in Applied Science with RMIT University and is a Graduate Member of the Australian Institute of Company Directors. Alison is a qualified engineer, an alumni of Harvard Business School, an MBA graduate and a member of the Institute of Public Works Engineering Australasia (Victoria) Board, bringing a breadth of accolades and working knowledge to the role. Alison has over 15 years of progressive leadership experience in infrastructure, planning, operations, program and service delivery and business transformation. Alison’s broad experience in local government is paired with an innovative, energetic and engaging approach to leadership.